Quickly find all types of excavator rentals from top rated excavator rental companies. 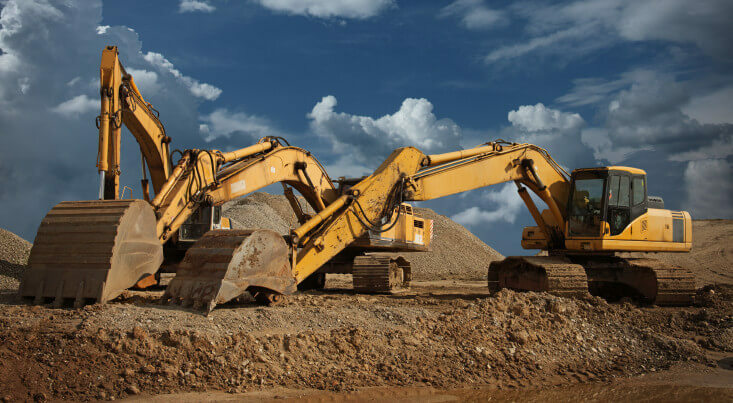 Compare price quotes from a few of the leading excavator rental companies in your area. I needed a 30,000 lbs. excavators for a demolition job. Comparing prices for excavators was easy using RentalForce.com, all I had to do was fill out a form and I was emailed by three companies immediately! I'm working on a demolition and needed a 30,000 lb. excavator These guys were easy to work with and I was able to get quotes for excavators the next day! Save Time - fill out just one quick quote form and we'll match you to companies offering the excavator rental you're looking for. Save Money - you'll get prices on excavator rentals from a few of the top companies in your area. Rent from the top excavator companies - rent from the most dependable excavator companies. Excavator rentals are commonly used for large and small construction projects. You can find rentals for as low as a few thousand dollars a month to around $30,000 depending on the size you are looking for. Most excavators have tracks, which make them easy to maneuver on soft soil, but you can also find wheeled excavators as well. Due to the high prices of buying a new or used excavator (upwards of $50,000), renting is the only viable option for most companies.